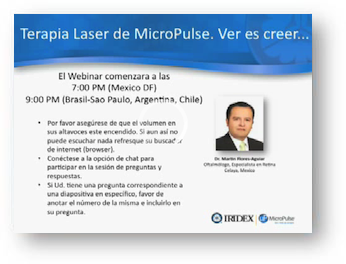 MicroPulse laser therapy is a tissue-sparing solution for the treatment of retinal diseases and glaucoma. With MicroPulse, a continuous-wave laser beam is chopped into a train of short, repetitive, low energy pulses separated by a brief rest period which allows the tissue to cool between laser pulses. 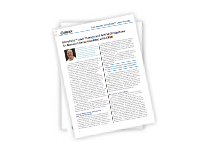 MicroPulse laser therapy is an essential asset for a comprehensive practice. 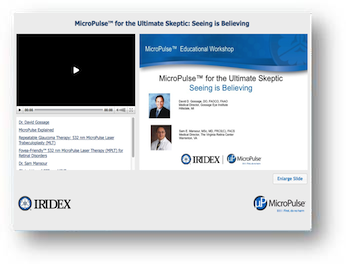 We invite you to watch our webinars or to read this article from MicroPulse experts Drs. Friedrichs, Phillips, and Mahootchi to learn the reasons and benefits of incorporating MicroPulse into your practice. Introducing the New MicroPulse P3 Glaucoma Device (MP3) that performs innovative Cyclophotocoagulation with MicroPulse Technology Powered by the New CYCLO G6™ Glaucoma Laser System. With MicroPulse, the steady CW emission is "chopped" into a train of short laser pulses, whose "width" ("ON" time) and "interval" ("OFF" time) are adjustable by the surgeon. A shorter MicroPulse "width" limits the time for the laser-induced heat to spread to adjacent tissues, thus providing fine control of energy delivered. A longer MicroPulse "interval" between pulses allows cooling to take place before the next pulse is delivered. MicroPulse (low duty cycle). Very little thermal spread can occur due to the extended "OFF" time between each MicroPulse. Tissue is allowed to return to baseline temperature before the arrival of the next pulse. MicroPulse (medium duty cycle). Doubling the "width" of the pulse, doubles the energy deposited, increases the heat spread during the "ON" time, reduces the cool off time, but can still avoid cumulative thermal build-up. 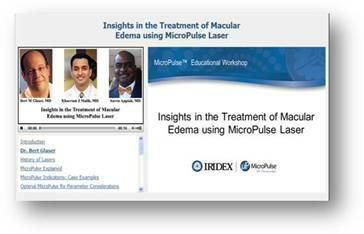 Dr. Gossage discusses his case where MicroPulse resolved a patient’s center-involving macular edema. Case Study using IQ 577 with MicroPulse™ technology to treat 64 year old male with center-involving DME. 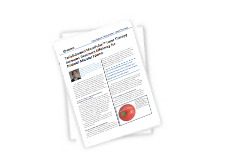 Dr. Gossage shares his experiences using MicroPulse laser therapy to treat retinal and glaucoma disorders. Difficult case of diffuse diabetic macular edema who received 6 monthly injections of bevacizumab with no results. Female patient with difficult case of diffuse DME who received 7 monthly injections of bevacizumab with no results. Glaucoma is the leading cause of irreversible blindness worldwide, with >70 million people affected and ~10% becoming legally blind during their lifetime. According to current evidence, glaucoma is defined as a group of optic neuropathies manifesting as progressive degeneration of the retinal ganglion cell layer, with consequent optic disc remodeling and cupping, and ultimately irreversible visual field loss. 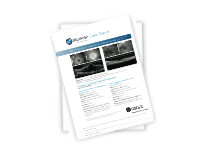 This study aimed at evaluating the intermediate-term efficacy and safety of micropulse transscleral cyclophotocoagulation (MP-TSCPC) in cases of uncontrolled glaucoma. Laser resensitization of medically unresponsive neovascular agerelated macular degeneration: Efficacy and Implications. Subthreshold diode laser micropulse was performed in 13 eyes unresponsive to all anti-VEGF drugs despite at least 4 consecutive anti-VEGF injections given for more than 4 to 6 months, including at least 3 consecutive ineffective aflibercept injections given 4 to 6 weeks apart. After monthly aflibercept was resumed 1 month after MicroPulse, 92% (12 of 13) of eyes improved, with complete resolution of macular exudation in 69% (9 of 13). Visual acuity remained unchanged. 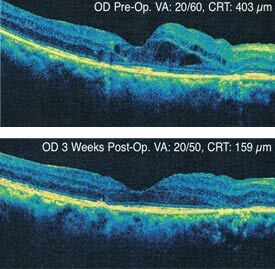 Central and maximum macular thicknesses significantly improved. Subthreshold diode micropulse laser treatment restored drug response in drug tolerant eyes with neovascular age- related macular degeneration. 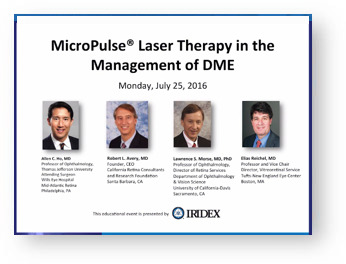 A review of the literature about the mechanisms of action and role of MicroPulse diode laser in DME was conducted. 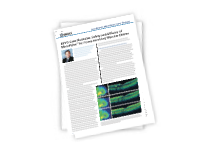 The authors conclude that MicroPulse is a new, promising treatment option in DME, with both infrared and yellow wavelengths using the less aggressive duty cycle (5%) and fixed power parameters. It appears to be safe from morphologic and functional point of view in mild center involving DME. A prospective, double-masked, controlled clinical trial on 123 eyes with DME. 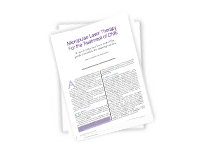 Three dosing protocols were compared and patients were followed for a minimum of 1 year. Authors’ conclusions: High density MicroPulse treatment is superior to the mETDRS based on BCVA improvement and CMT reduction. A prospective, randomized clinical trial on 62 eyes (50 patients) with untreated, center-involving, clinically significant DME, treated with either ETDRS or subthreshold MicroPulse laser therapy. 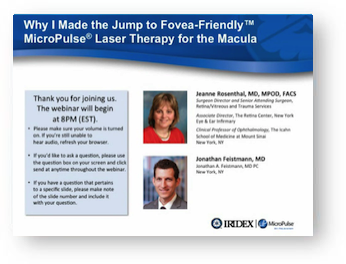 Authors’ conclusions: High density MicroPulse laser is as effective as mETDRS laser in stabilizing visual acuity and in reducing macular edema with the benefits of no tissue damage detectable at any time point postoperatively, and of significant improvement in retinal sensitivity. A comparative, controlled, prospective study comparing MicroPulse, intravitreal BCZ injection, and observation for the treatment of CSC in 52 eyes of 52 patients. Authors’ conclusions: Results indicate superior subretinal fluid resolution, and superior VA improvement and other visual functions, for MicroPulse laser compared to anti-VEGF injections, with no tissue reactions observed during and at any point after MicroPulse treatment. A review of the role and evolution of retinal laser treatment for DME, including the state-of-the-art of clinically effective and harmless subthreshold diode (810 nm) laser MicroPulse photocoagulation for the treatment of DME. 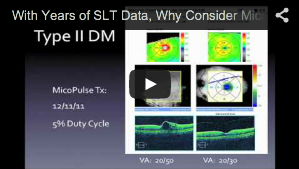 Authors’ summary: The discovery of clinically effective and harmless SDM treatment for DME offers exciting new information that will improve our understanding of laser treatment for retinal disease, expand treatment indications, and improve patient outcomes. 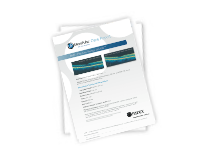 With Years of SLT Data, Why Consider MicroPulse? 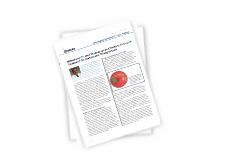 With Years of SLT Data, Why Consider MicroPulse® for Treatment of Glaucoma? 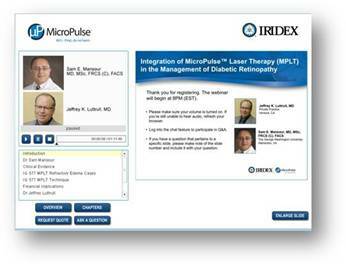 MicroPulse for Glaucoma & Retina. What's the Hype?